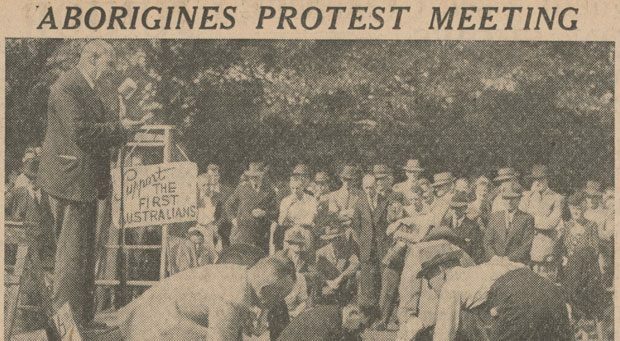 The Governor’s Domain has been a public space since the earliest days of the Sydney colony, and continued to be used for many years by Aboriginal people. It was proclaimed by Governor Lachlan Macquarie in 1812 to provide a parkland setting for First Government House. 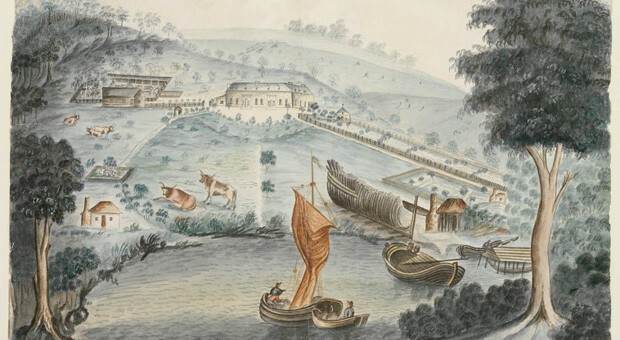 The grounds were much more extensive than today, taking in the Royal Botanic Gardens above Farm Cove / Wahganmuggalee, and consisted of the ‘Inner Domain’ along the ridge between Farm Cove and Sydney Cove / Warrane, and the ‘Outer Domain’ between Farm Cove and Woolloomooloo Bay / Waalamool. Aboriginal sites around Mrs Macquarie’s Chair in the Outer Domain show that Aboriginal people used the area before the arrival of Europeans to fish and camp. In 1795, a male initiation ceremony took place at Farm Cove, perhaps because this was an established ceremonial ground, or maybe to make ceremony on the outskirts of the fledgling town. 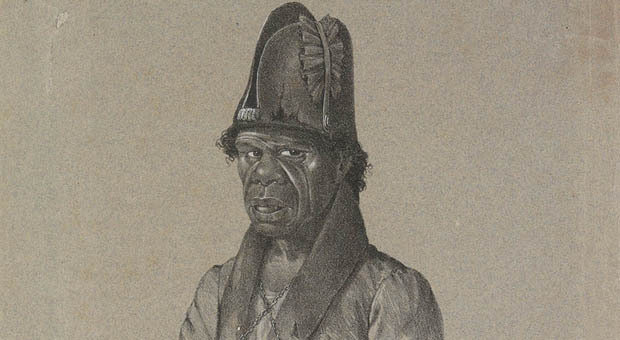 In the first half of the 19th century, Aboriginal people camped at different points in and around The Domain, and particularly in the forested Outer Domain. They probably camped in bark gunyahs or rockshelters, and in the 1840s, it appears they also made use of a timber hut in the Outer Domain. 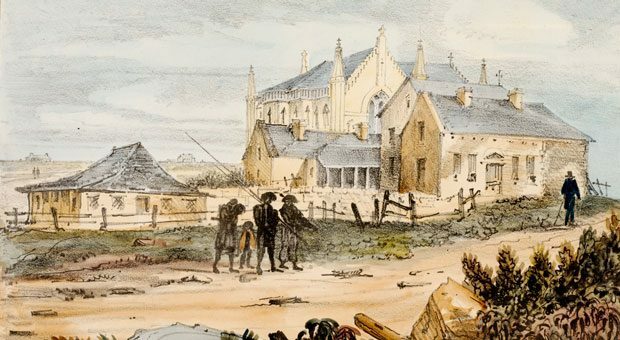 The Outer Domain appears to have functioned as a handy staging post for Aboriginal people to visit the city, and be able to return to relative seclusion in the evening. 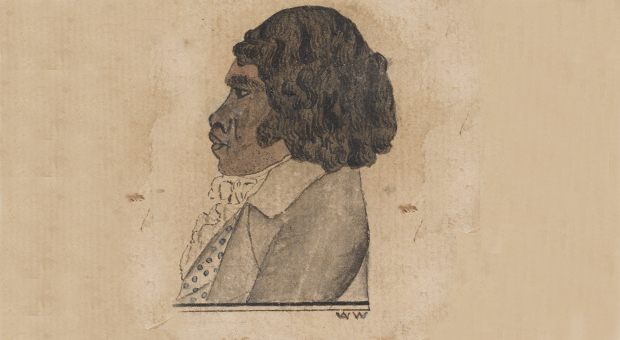 In 1846 for example, eight people including Aboriginal explorer Bowen Bungaree, his mother, Cora Gooseberry, and their extended family including Cora’s cousin, William Warrell, camped at a spot near Centipede Rock at Woolloomooloo, close to today’s Art Gallery of New South Wales. They ‘roamed about the city during the day, and…often gave exhibitions of boomerang-throwing from Hyde Park.’ Other visitors came from further afield, such as Bob Chit Chat and Dr Ellis from Wollongong in 1858. 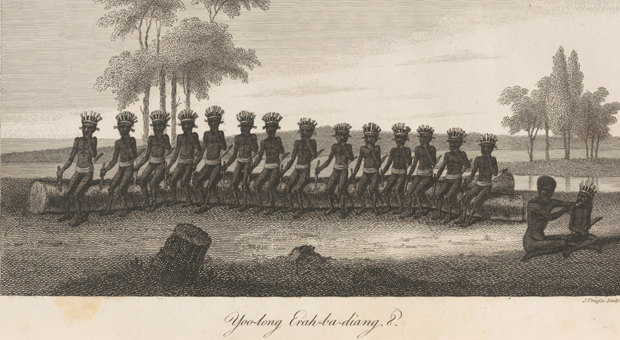 They worked as guides on hunting trips, and had brought wild ducks and pigeons with them to Sydney to sell. 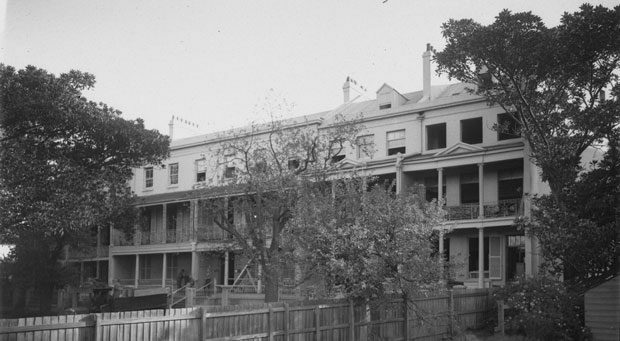 After the 1850s there are no further records of Aboriginal people living in The Domain, but other settlements in nearby areas like Rushcutters Bay, Double Bay and Rose Bay were in use, so it is likely they were also using The Domain. By the 1870s, the native forest in the Outer Domain was dying of natural decay, and the space was increasingly used by Europeans for sport and recreation. In 1879 a large portion of the Outer Domain was taken over as exhibition space for the upcoming Sydney International Exhibition at the nearby Garden Palace. These developments would have made the area much less attractive for Aboriginal people to live in. By 1879, Aboriginal people had begun camping in the abandoned government boatshed on the eastern side of Circular Quay, at Bennelong Point. 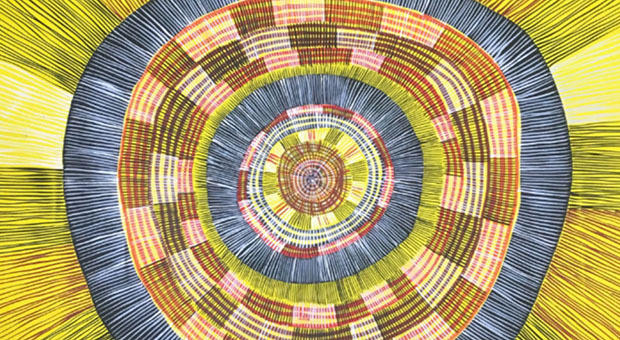 It is possible that Aboriginal people shifted there from the Outer Domain, as it was used in a similar way, as a staging post for accessing the city.